First Look: Microsoft Surfacing Computing! Most of you have probably seen the Minority Report becomes reality video on youtube by now. 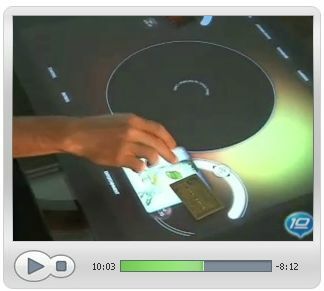 It was a very cool demonstration of what kind of user interfaces we can expect to see in the future. The question we always wonder when we see these things is, “Cool, but how and where can we seriously use it?” It turns out Microsoft has been asking themselves the very same question and has come up with some pretty good answers. Larry Larson over at on10.com got a preview of Microsoft’s Surface Computer where they demo many real world apps for such technology. 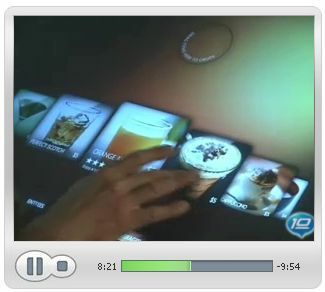 Things really start getting slick around the 8 minute mark where surface computing is applied to the restaurant experience. There literally is no need for a waiter to take orders or payment anymore with such a system. A fully interactive menu is right in your tabletop to order from. When the meal is over, everyone can place their payment method on the table and divi up the check by dragging and dropping the meal items to their own cards. Amazing. It’s great to see emerging technologies being applied intelligently toward improving real world experiences. Far fetched interactive musical tools are neat, but what emerging technologies really need to survive is a way to make life better for the common citizen. It looks like MS has envisioned some very real ways to do this. Here is another demo we found on youtube, this is the quick version.